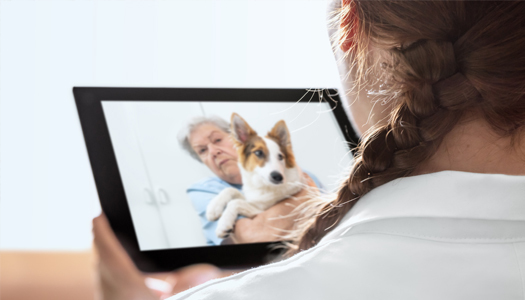 Canyon Pet Hospital is now using a telehealth communication system called TeleTails. This means that you can now connect remotely through live video consultations! We know that taking an animal to the hospital just isn't possible each and every time something comes up, so we wanted to offer a system that will provide more flexibility in the way that we deliver care. What does this mean for you? Nothing changes at the hospital at all. We'd love to continue to see you and your pet in person, and please remember to be sure to always call in case of emergency. If you are interested in connecting digitally, begin by downloading the app on your smartphone and create an account on your iPhone or Andriod. Digital consultations can only be conducted from your smartphone and Dr. Miller is the only doctor currently providing this service. You will be prompted to insert this six-digit practice code above once you create an account. 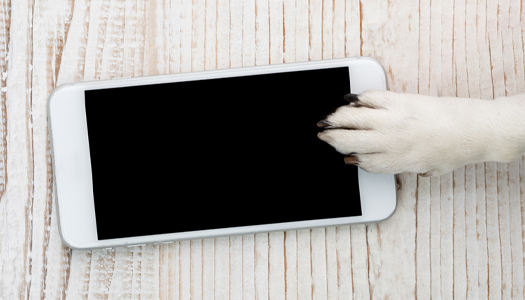 TeleTails is meant to supplement, and not replace, your pet's office visits. We offer a combination of video and messaging consultations. As a stand-alone, digital consultation will be charged $65 plus 10% processing fee. This pricing is for the consultation only and any in person follow up will be billed separately. USES: We only offer telehealth services to patients with whom we have an existing relationship. We have included an example of ailments which are often fits for digital care, but please remember that this list does not guarantee your pet will not have to come into the hospital for additional tests/an in-person exam. AVAILABILITY: As stated earlier, we are going to do our very best to be available to you and your pets; however, coverage is limited to working hours. You can anticipate a one-day turn around in response, but we may occasionally be delayed due to an in-office emergency. SECURITY: TeleTails uses a payment processor called Stripe for all transactions. Stripe uses the highest security measures in the industry and is used by Target, Under Armour, and Warby Parker (among others). Open every day of the year, including holidays.